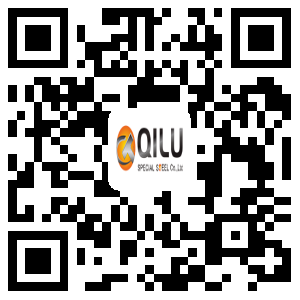 QiLu Special Steel Co,.Ltd is a leading company in China which specialized in smelting and forging of special steel. It is one of the biggest manufacturer of forged product in China. The products produced by QiLu are used in Automotive ,Aerospace, Power Generation, Oil & Gas, Transportation and Industrial. QiLu Special Steel was established in 1986,it covers 450,000 square meters, and it possess 2120 employees, annual output of special steel over 500,000 metric tons, the quality system has passed ISO 9001:2000 and China Classification Society.Our customer spread all over the world, include West Europe, North America, West Asia, Middle Asia and Australia, etc. The company mainly manufactures 300 kinds of high alloy steel forging products in 13 series, such as Alloy Structural Steel, Alloy Tool Steel, Carbon Structural Steel, Carbon Tool Steel, Bearing Steel, Spring Steel ,Stainless Steel, Refractory Steel, Roll Steel, Pinion Steel. Additionally, the company also has the capacity to forge round steel, steel flat, square steel, module, shaft and roller, etc. The main specifications of the products include Φ80-1000mm forging materials and 80-1200mm square billets and which the maximum piece weight can reach 50T. The company owns advanced special steel smelting facilities and forging processing equipments, the main steel-making equipment include 2 sets of 50t ultra-high power electric arc furnaces,2 sets of 60t LF refining furnaces,1 set of 60t vacuum degassing refining furnace and 4 sets of 1-20t electroslag re-melting furnaces. The main forging equipments mainly include:3 sets of 5t electro-hydraulic hammers, 1 set of high-speed forging units of 800t,1600t,2000t and 4500t respectively. The company is capable of producing all kinds of forgings delivered under the condition of heat treatment, and has large well-type furnace with depth of 24-meter, and many different types of quenching, tempering heat treatment furnace and etc. With respect to the deep-processing capacity, the company owns the deep drilling processing equipment with the a machining diameter of 600mm, and the length of 12000mm newly added in 2008, and has the large supplementary equipments with deep-processing capacity, with which the round steel, multiple stepped shaft, and other steel products and forgingssuch as roller with a unit weight of less than 35 tons, and a diameter ≤ 1200mm can be processed.